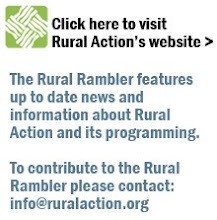 Rural Action is wishing for everyone to join us at the Adventure Auction. Please help support sustainable development in southeastern Ohio by attending this exciting event! You are sure to enjoy good food, good music, and an all around great time with friends! Contact Jordan, 740-767-4938, or click here to purchase tickets today!